Approximately 35 percent of African Americans had no measurable assets in 2009, and 24 percent of these same households had only a motor vehicle. African Americans are consumers instead of purchasing growing assets. Is the goal of becoming a millionaire impossible? No way!!! Success is not stopped by the color of your skin but it can create challenges for you that can be overcome, if you are willing to try. You live in a country that you can become a millionaire or even a billionaire, if you are will to take the action steps necessary to reach it. Joining us for our discussion on The Black Entrepreneur And Wealth is Dr Dennis Kimbro who is on the phone from his Atlanta Ga office. 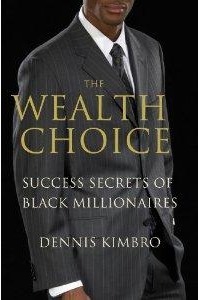 Dennis P. Kimbro, Ph.D is the author of Think And Grow Rich: A Black Choice, and his latest book is The Wealth Choice: Success Secrets Of The Black Millionaire. A tireless educator, public speaker and business consultant, he written for numerous newspapers and magazines and has made many appearances ranging from the today show to a PBS special. 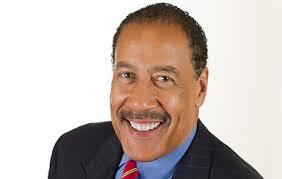 Welcome back to Mastering Your Money, Dr. Dennis Kimbro.